Patient Education \ Blog \ How can exercise help our muscles, joints and bones as we age? The population in America is aging. People are living longer and the baby boomers are increasing our senior population. As we age, our bodies and physical abilities change. We lose muscle mass, our joints become less flexible, and our balance can diminish. A regular exercise program can be very helpful in preventing some of these losses. Exercise has been shown to reduce and stabilize blood pressure, improve symptoms of arthritis, and help with obesity. Listed below are a few specific ways in which exercise can help. Exercise helps control weight gain which will take stress off our joints. Swimming and cycling, Alter G treadmill, and aquatic exercises are examples of unloading exercise. These exercises help maintain strong muscles and have cardiovascular benefits, but don’t put as much stress on our joints. Exercises such as stretching help improve flexibility in muscles and joints to keep joints from stiffening up. Yoga is a good form of exercise to improve flexibility. As we age our joints can become stiff and it makes it harder to bend over and put shoes and socks on, so staying flexible is important. Exercise helps increase circulation of synovial fluid and blood flow in our joints. This circulation provides oxygen and nutrients to our joints which aides in repair and healing of joint tissue. Exercise such as resistive training/weight training helps strengthen muscles and ligaments around joints which provide protection and reduce injury to joints during activities. Weight machines, resistive bands, and ankle weights are examples of strength training. Exercise can help strengthen bones. We begin to lose bone mass as we age. Men and women can help prevent bone loss with regular exercise. Weight bearing exercises are the best at preventing bone loss. 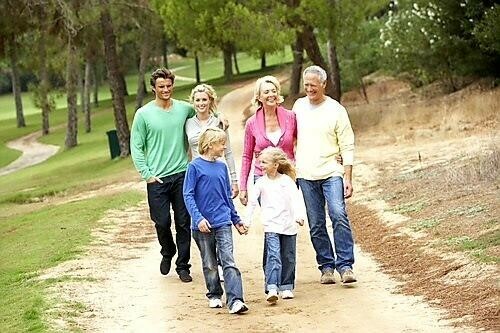 This is why a simple walking program can be beneficial. Other examples would be weight-training, hiking, jogging, dancing, tennis, or golf. Exercise can improve balance and proprioception. As we age we are more likely to have falls. Strong muscles and more stable joints can help prevent falls. A simple exercise to improve proprioception is single leg balancing. If you want to begin an exercise program and don’t know where to start, it may be best to consult with a physician, physical therapist or personal trainer. These professionals can help develop a program that is specific to your needs, with regards to specific exercises, intensity, frequency and recovery time. Exercise can benefit your muscles, joints and bones in many ways, and it is never too late to start an exercise regime. Something as simple as walking can help, and you don’t need a gym membership for that. So don’t hesitate and get started today! Good luck!